We celebrate those events in our lives that define our existence. Birthdays remind us that we were created by God. Graduations are tangible ceremonies that mark the completion of courses studied and work completed. Weddings are remembered each year because they re-tell the story of two lives coming together to create something more beautiful than themselves. And special anniversaries, such as spiritual birthdays and the loss of loved ones all mark experiences that have in some way changed us profoundly. We remember so that we will not forget. Yesterday, the Church began its new year with the First Sunday of Advent. Like us, the Church universal celebrates the seasons of life, those experiences that define her. Advent, Christmas, Epiphany, Lent, Easter, and Pentecost all are opportunities for those who call themselves Christians to remember the events that define their existence as disciples of Jesus. We remember so that we will not forget. Advent is a season of inward preparation, in which we individually and corporately prepare our hearts to receive the coming of God’s Kingdom through the incarnation of His Son, Jesus of Nazareth. It is a time of reflection, an opportunity to reorient our lives back the Center. Christians have celebrated Advent for centuries. It begins four weeks prior to Christmas day and concludes with the celebration of Jesus’ birth. This period of time has been distinguished by a series of four candles representing the four thousand years before Christ’s birth and symbolizing Jesus as the Light of the world. Each week the Church lights a candle in expectation of the Eternal Light to come. 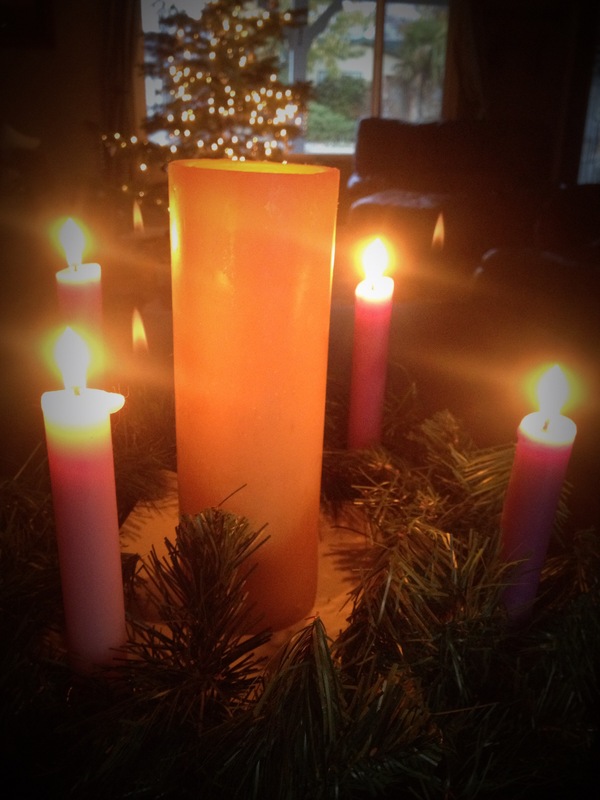 There are three purple candles (symbolizing the royalty of Christ) and one pink candle (symbolizing the joy of Advent). On the third Sunday, the pink candle is lit and is known as “Rejoice Sunday.” Finally, on the fourth Sunday all four candles are lit as a testimony of God’s faithfulness to His redemptive covenant. Some Churches also add a fifth candle (usually white) in the center of the wreath to represent Christ Himself. The symmetry of the Advent Wreath symbolizes that God has no beginning and no end; its greenery represents new birth and life. Oh Lord, through the Prophets you promised that the Messiah would come to take away the sins of the world and therefore restore all of creation to its rightful place. Give us patience to wait through the silence and anticipation of Advent, so that we may awaken with the angels on Christmas morning to receive Jesus, the coming King. This entry was tagged Advent, Advent Wreath, Christ, Christmas, Church, Eternal Light, Jesus, Sunday. Bookmark the permalink.